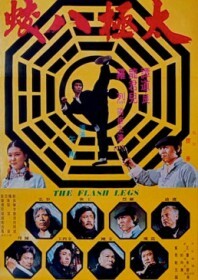 Promising more boot than you can shake a kwan at, Flash Legs does everything it says on the tin. The titular flash legs belong to Dorian Tan who gets to show off his entire repertoire of fancy kicks. The premise seems tedious enough – eight bandits are singlehandedly bumped off by police chief Tan for stealing a sacred treasure map – and makes you wonder how it lasts the distance. Its probably got something to do with all those fight scenes, which fly in thick and fast in this relentless kung fu fest. Studio: Hwa Tai Movie Co.